Please enter your name and email below and you will receive my newsletter with videos, free audios and inspiration for you. Glenda's philosophy is that we each have a song in our hearts and when life brings it's painful challenges ..sometimes we "forget" this song. When one has an audio experience that reconnects with that song...transformation happens. Listening to a Glenda's CDs right before you go to sleep or right when you wake up--sets the tone for the day...it is more powerful because it accesses the theta brain wave state--when your brain is in the "dreamy" state and most receptive to suggestions. says--"marinating overnight in our worries"). -or we can relax and open to our creativity and spirituality. and the Wellness Institute's Heart Centered Hypnotherapy. Glenda Cedarleaf (MSW LCSW) writes and records pre-made and customized guided imagery CDs to address chronic and acute pain, panic attacks, anxiety, depression, sleep disturbances, Post traumatic stress symptoms, chronic and acute health challenges as well as preparation for medical procedures and surgery. She regularly receives feedback that her soothing intuitive voice, professionally crafted scripts and ambient music all blend into an audio journey that truly heals. 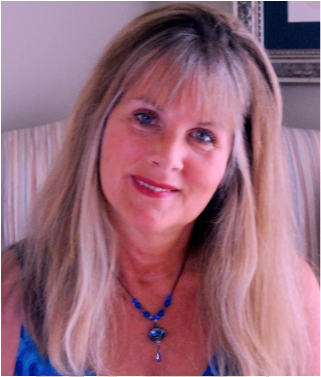 Her guided imagery is inspired by 25+years of experience working in health and wellness settings including: hospice, home health, oncology, integrative health centers. She is a Clinical Hypnotherapist, Guided Imagery Practitioner, and Holistic Psychotherapist. Glenda’s CDs are currently provided to patients in a variety of settings including medical offices and in an outpatient surgery center, joint center, emergency department and cardiac catheter lab. Her Healing Surgery CD is now sold at the Mayo Clinic Medical Store. Glenda has trained as a life coach with Kathleen Brehony PhD through the National Institute for the Clinical Application of Behavioral Medicine. She is also a facilitator for SoulCollage®. Her own personal journey includes parenting her two now grown wonderful sons, experiencing divorce and remarriage, living with debilitating illness and discovering the power and synergy of mind body spirit healing. These challenges and gifts have been great teachers and inspire her sensitivity and awareness in helping her clients navigate through the challenges and joys of parenting, relationship and loss and illness. Her own emotional, physical and spiritual healing inspires her passion for the creative process. Her vision is to help you through the maze of confusion and back onto the path of hope and healing so you too can truly live your life with clarity, courage, creativity and connection. Glenda studied at the University North Carolina at Chapel Hill School of Social Work and received her MSW in 1980.
and the Academy for Guided Imagery. James Spira PhD, Steve Gilligan PhD, and Peter Levine MD. and to the Divine Creator who offers an endless flow of creative inspiration..